Complete desk to better store and select extractors, protectors and tripods for hot air stations. Extractors: E2052, E2064 and E2184. JBC`s exclusive hot air system uses jointly extractors, protectors and tripods for a quickly and safely desoldering. 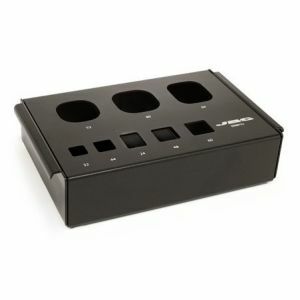 Purchase a 0008752 JBC Tools Extractor Desk sold by Howard Electronics Today!